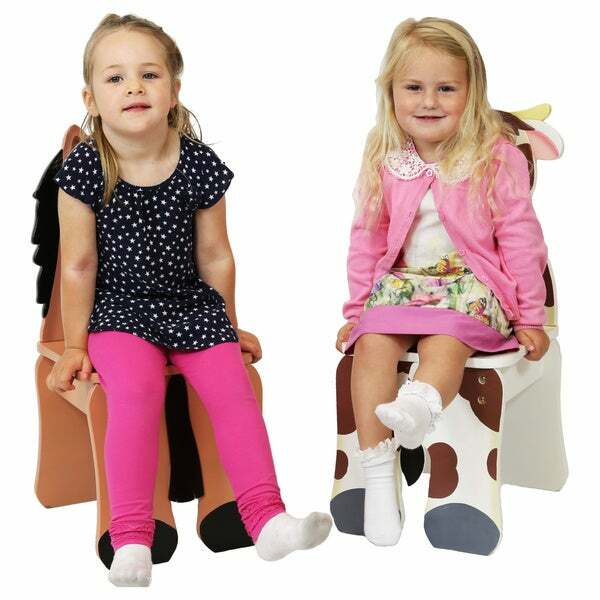 Giddy up into a new adventure with the Fantasy Fields Happy Farm Animal Chair. The chair is hand crafted and painted to resemble your little one's favorite farm animal. Your children will love sitting and relaxing on their very own animal chair. The chair is crafted to appear like your child is sitting right on the back of the animal. Made from quality wood and crafted with love, this is a treasure that can be passed down for years to come.